Do you guys recall those “Spot The Difference” games in the arcade or coffee shops back in the old days? 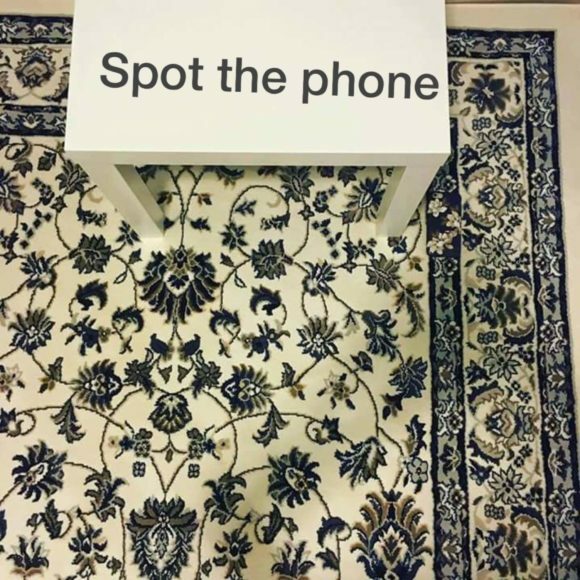 Today, we will play “Spot The Phone”. Do you see it? I don’t want to give it away. Focus harder. I’ll leave a comment with the answer for those that need it.